Create lasting memories! Share our beautiful country estate with your friends and family. The Lodge at Mountain Springs Lake Resort offers the ideal setting for groups of 75-200 guests (arrangements may be made for smaller groups). From “Just Because”, Milestone Events, and birthdays to bat mitzvahs, fundraisers and family reunions, The Lodge is the perfect choice. Once-in-a-lifetime parties are always special at The Lodge. With 50 years of hospitality experience, we guarantee your occasion will be outstanding. From selecting a distinctive menu to coordinating a full weekend of festivities, our courteous and attentive staff will be happy to assist with every detail. To start planning your celebration, call (570) 629-1120 or fill out our online form. The bar or bat mitzvah celebrant and their friends - not mention the adults - will agree that The Lodge exceeds their expectations. With room to spread out, delicious food, and relaxing views, there’s something for all ages. Our unique setting, personal service and attention to detail will make your event stand out. The historic Lodge and beautiful views from the Verandah set the stage for this special dress-up event. The rooms can be decorated to fit in with your theme and colors. In addition to the more formal indoor atmosphere, you’ll have access to the grounds around the Lodge, so you and your guests can retreat for a few quiet moments away from the lively celebration. Once in a lifetime events. Show your daughter and her friends how special they are with a very special event at The Lodge. While the honoree and her guests celebrate inside, younger children can play with their parents on the private grounds around The Lodge. Choose from any of our menus, including our special selections for young adults. We can even create a special “mocktail” in honor of the birthday teen. Enjoy the serene view of our mountain lake while celebrating your honoree. Decorations, flowers, and cakes available. Select our Classic Luncheon or a Sunday-style brunch. Special occasions like a silver or gold anniversary are a chance to gather with your family and friends. Whether you would like to celebrate with a formal dinner party, an informal cocktail party or an elegant luncheon, think about extending the celebration with a stay at the Resort. Don’t miss this chance to get your family together for a mini-reunion. The Lodge and Resort at Mountain Springs Lake have been a part of family traditions for more than 50 years. Celebrate your important birthdays with a group of from 75 to 200 of your favorite friends and family members (arrangements may be made for smaller groups). People of all ages enjoy a visit to The Lodge. Fabulous food, beautiful views, great cakes, and friendly service all add up to memorable parties. We can help you plan everything from menus to decorations and flowers. We'll help you celebrate in style. Take a break from the office and hold your party in a setting that’s away from the city, yet close enough to be an easy drive. Mountain and water views, private grounds—all of it available for your group. 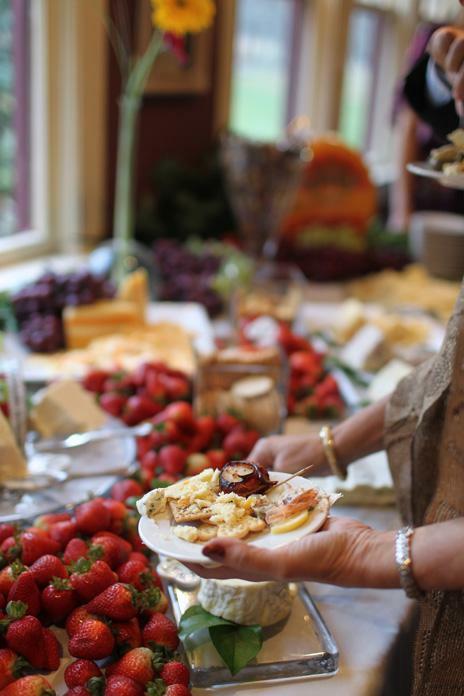 Everyone will appreciate the thoughtful planning and attention to detail that will make your party one to remember. Menu options and room choices let you customize the celebration for your preferences, the size of your group, and time of day. Gather the family and friends for lunch to remember your loved ones. Our range of menu choices and the peaceful setting are always appreciated. We can serve comforting family favorites or a formal sit-down menu. Stroll the peaceful grounds, enjoy the views out the windows of the Verandah, or relax in the intimate rooms of the historic Lodge. Our event coordinators and attentive service will put everyone at ease. To start planning your celebration, email events@mslresort.com or call 570.629.1120 or fill out our online form.